A Lewinsky? A futz? A cowboy? A Groucho? A Brodkin? A Double Brodkin? The Castle Rock Rule? The phrase 'Nobody moves, nobody gets hurt'? Without the vivid, fascinating, and often hilarious secret language of movie making, much of it rooted in movie history, films could never get made. Film veteran Tony Bill shares his insight and knowledge in more than 450 enlightening, straight-from-the-set definitions, while also offering his invaluable advice on film making do's and don'ts in a handful of longer essays on everything from dealing with a difficult actor to movie making in the digital age. 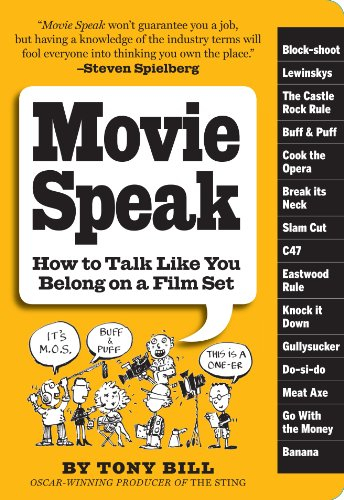 This book is essential reading for anyone who's passionate about film, would like to work in film, or already is working there, and wants or needs a crash course in how to act and speak like a pro.